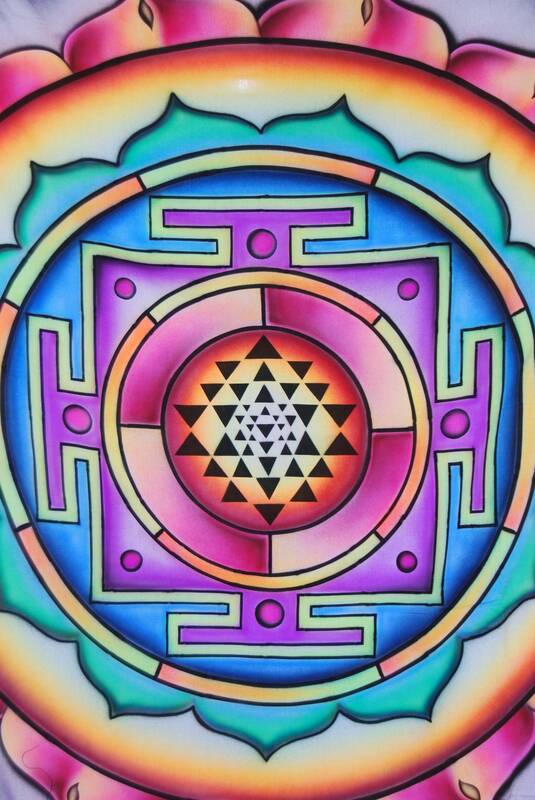 This is a colorful airbrushed wall hanging with Sri Yantra symbol. The Sri Yantra is a form of mystical diagram which consists of nine interlocking triangles that surround a central point known as a bindu. These triangles represent the cosmos and the human body. 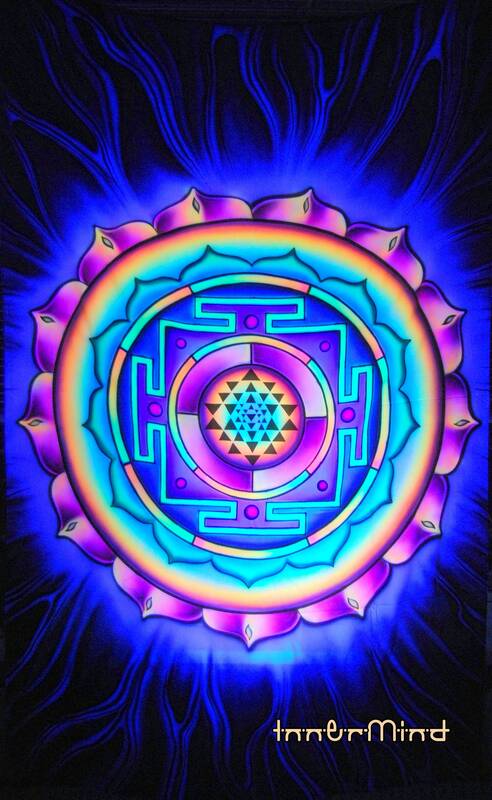 Sri Yantra holds the theory of everything in each and every bit. One of the fundamental hyperspace structure is the 64 tetrahedron grid. It is a fundamental sacred fractal geometry formed by opposite and equal forces shiva (consciousness) and shakti (energy). 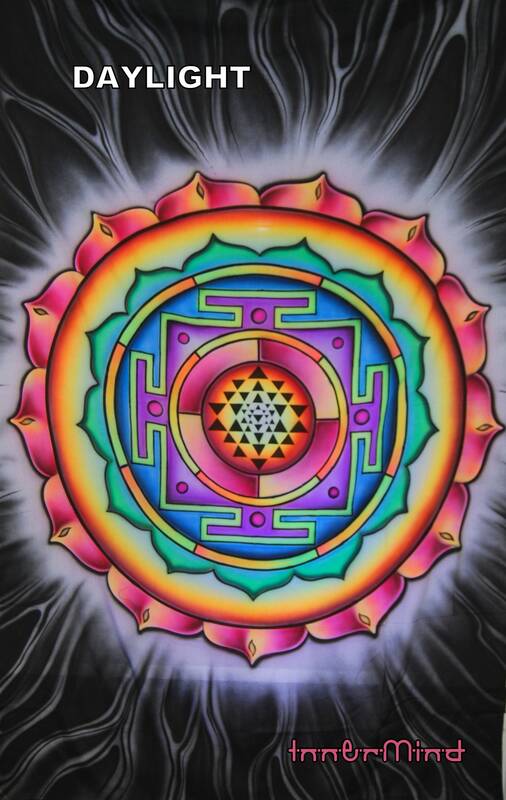 The center - bindu of Sri Yantra is singularity in cosmology where theories and laws of cosmology and quantum physics ceases.